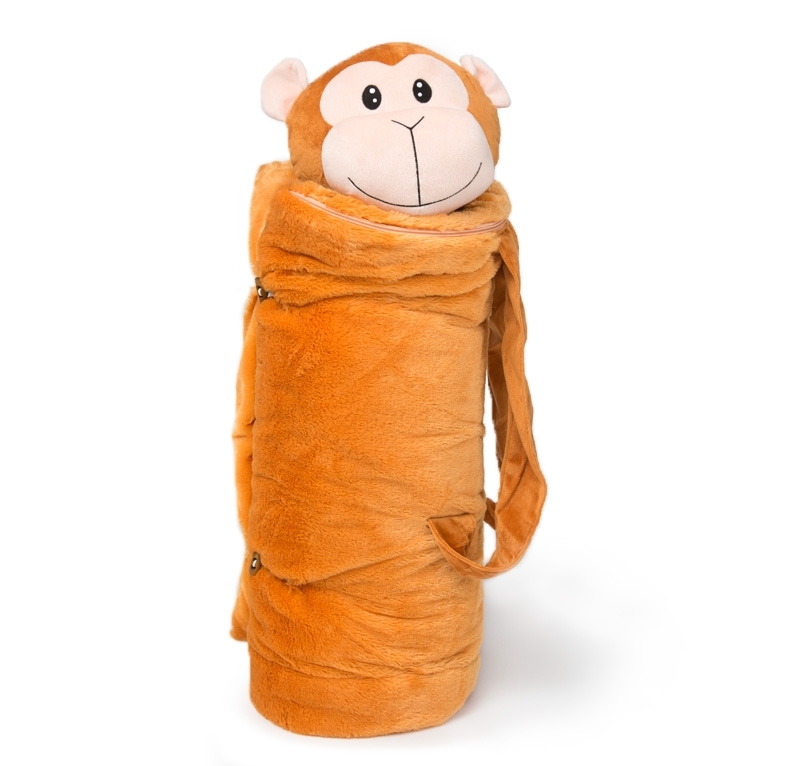 This all in one sleeping bag converts into a backpack, toiletry bag, nightlight, pillow, and overnight bag for ages 3-8. The pillow and overnight bag easily attach to the sleeping bag with Velcro. Once attached, the sleeping bag rolls around the interior bag. 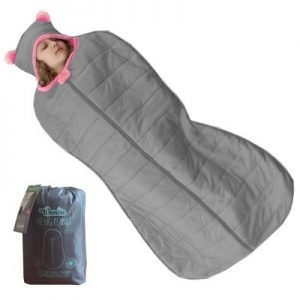 The All-In-One Organic Sleeper is a portable sleeping bag made from 100% organic cotton. The sleeper easily unfolds including a quilted pad, blanket covering and lavender scented buckwheat pillow. When nap time is over, it can simply be rolled up for storage. 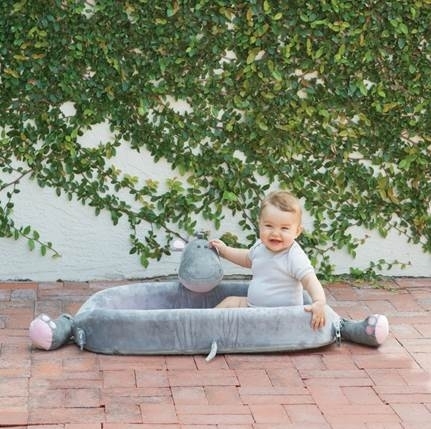 LulyZoo is a portable travel bed, play mat and plush pet for at home and on-the-go adventure. The signature lightweight, folding backpack design of the LulyZoo gives parents the ease of portability and versatile function without sacrificing comfort or safety. 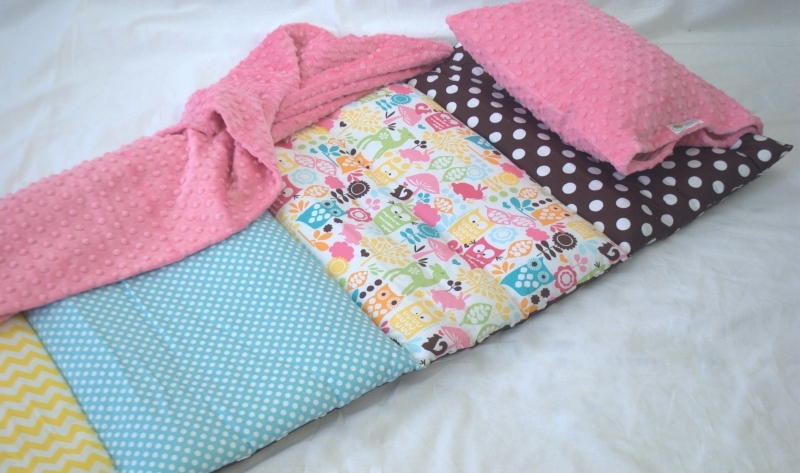 Made with gorgeous details, including a fabric tie closure and an extra thick minky pillowcase, Janiebee Nap Mats offer children a clean and cozy place to rest, and once naptime is over, simply roll up & tie closed! Personalization and custom nap mats are available. Machine washable and dryer safe, too! 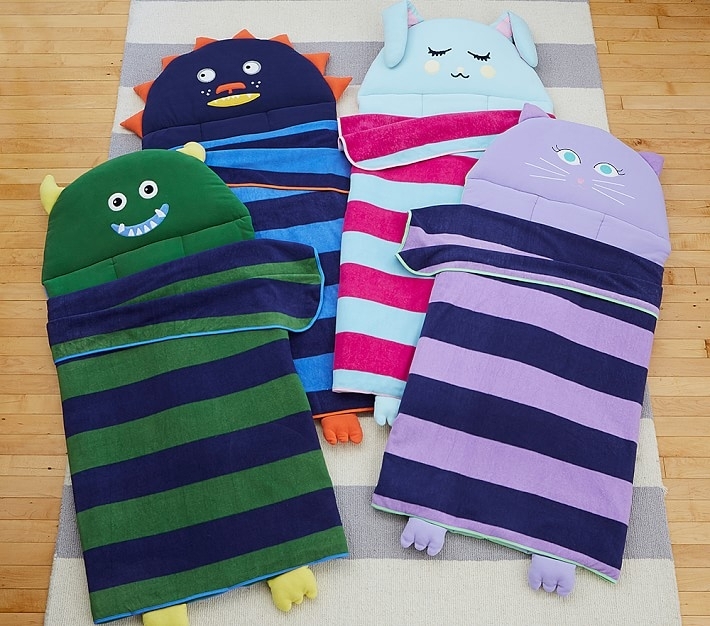 The Big Peanut Sleeping Bag is made for ages 3-10. Nylon outer/Minky fleece inner. Super durable, machine washable. Comes with a tote for travel. Hooded with cute ears! 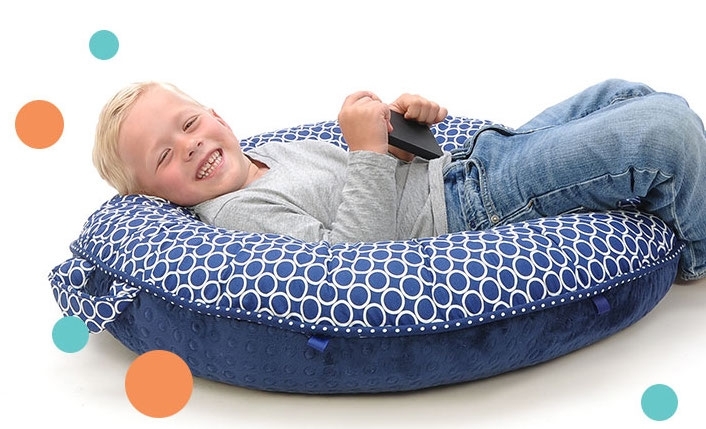 The pello is a donut-shaped floor pillow with raised edges, ultra-soft plush brushed poly and cotton fabrics and a padded center that benefits a child at all stages of development. It is machine-washable and can be thrown into the dryer. Every pello has two side handles enabling it to be folded in half, like a taco, and is easily portable. Designed to ignite imagination, these slumber bags create hours of fun, role play, and sweet dreams. Each bag features a unique tail with rich colors, lush fabrics and glow-in-the-dark thread. 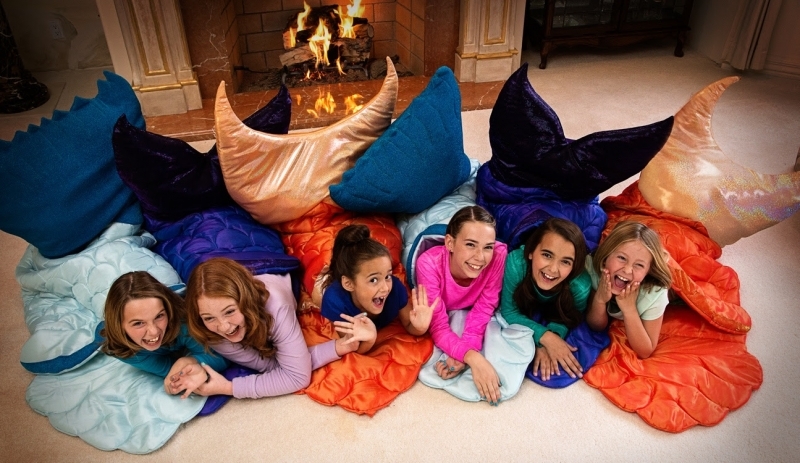 All slumber bags come with a coordinating Easy Carry Tote, Decorator Pillow, Bonus Adventure Chapter Book, and Wall Decals that feature the matching Royal Mermaid Daughter and her Sea Buddy. 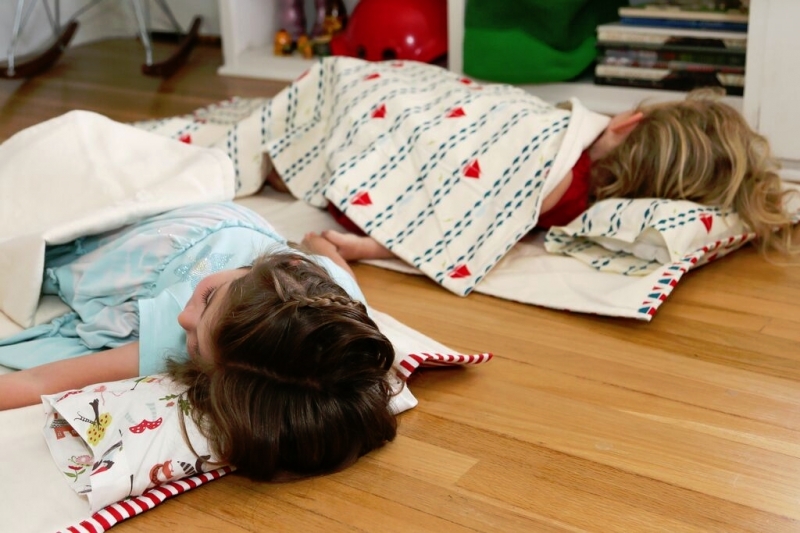 Stephen Joseph's Nap Mats feature an attached blanket and removable pillow. 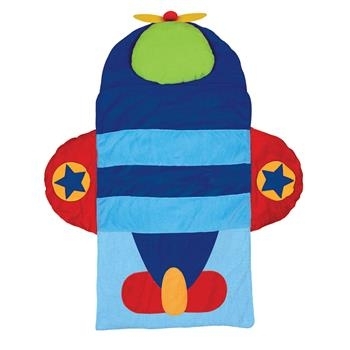 The Nap Mat is available in different cute and colorful themes for both boys and girls. The Velboa construction makes the Nap Mat extremely soft and it is also machine washable. Carries like a backpack! The blanket and nap mat are made of 100% recycled polyester polar fleece, and the nap mat reverses to 100% cotton jersey material for superior comfort. Travel-ready and featuring cute critter details, it adds welcoming design to nap time.